A parliamentary report of 1777 recorded parish workhouses in operation at Claverley (for up to 20 inmates) and at Worfield (12 inmates). 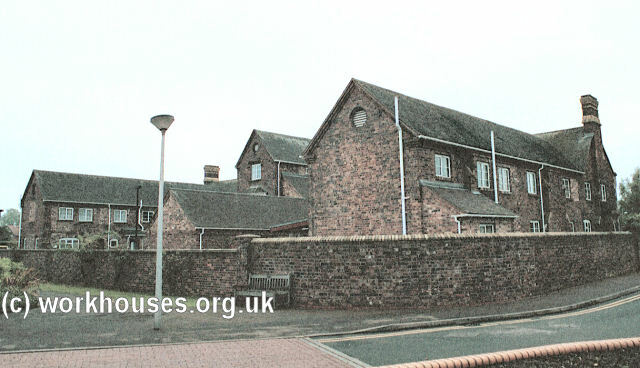 Claverley's workhouse was an L-shaped building at the south side of the Bull Ring. Worfield had a parish workhouse from 1729. A cottage at the west side of the village main street was used for this purpose. County of Salop: Acton Round, Alveley, Astley Abbots, Aston Eyre, Billingsley, Bridgnorth St Leonard's (3), Bridgnorth St Mary Magdalen (3), Burwarton, Chelmarsh, Chetton, Claverley (2), Cleobury North, Deuxhill, Ditton Priors, Eardington, Glazeley, Middleton Scriven, Monkhopton, Morville, Neenton, Oldbury, Quatford, Quatt, Romsley, Sidbury, Stanton Long, Tasley, Upton Cressett, Worfield (2). Later Additions: Rudge (from 1895). The population falling within the Union at the 1831 census had been 14,316 with parishes ranging in size from Upton Cressett (population 43) to Bridgnorth St Leonard's (2,517) and Bridgnorth St Mary Magdalen (2,268). The average annual poor-rate expenditure for the period 1833-35 had been £5,900 or 8s.3d. per head of the population. 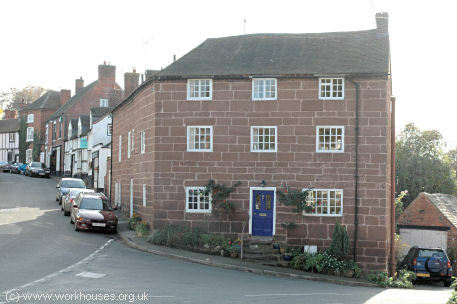 Initially, the union continued to make use of old workhouses in the Bridgnorth parishes of St Leonard's and St Mary Magdalen. The Poor Law Commissioners authorized an expenditure of £600 on the alteration and enlargement of existing premises. Pigot's 1842 directory lists a workhouse at Barnet Hill, Low Town, with William and Mary Wall as governor and matron. 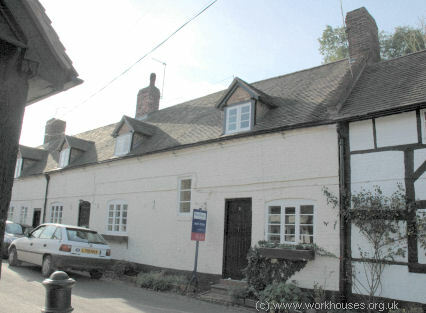 In 1848, the union erected a new workhouse on Innage Lane at the north side of the Bridgnorth. Its location and layout are shown on the 1901 map below. The main building at the south of the site had a U-shaped layout. Administrative offices and a Guardians' board would have been located at the centre with separate male and female inmates' accommodation to each side. A dining-hall would probably have been placed at the centre rear. Later additions at the north of the main building included an infectious block in 1875, an infirmary, and a casual ward at the east of the site. Bridgnorth main block from the south-west, 2000. Bridgnorth main block from the north-west, 2000. After 1930, the former workhouse became a Public Assistance Institution and subsequently a residential home for the elderly known as Innage house. The surviving buildings, now known as Andrew Evans House, have been converted to residential use. Shropshire Archives, Castle Gates, Shrewsbury, Shropshire SY1 2AQ. Please note that records may contain gaps or have access restrictions - please check before visiting. Holdings include Guardians' minute books (1859-64, 1884-1930); Creed register (1884-1931); Apprentice indentures (1847-87); etc.